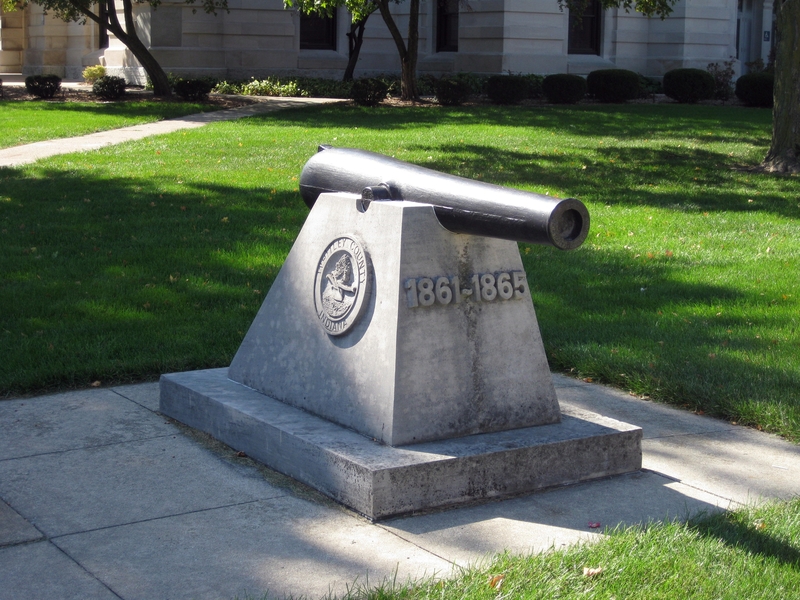 Additional Description: The cannon has muzzle markings indicating manufacture at Fort Pitt Foundry, Pennsylvania in 1861. Clear seams down the sides of the gun indicate this was an ornamental replica. It is unknown if the identification with Fort Pitt indicates the point of origin of the replica or just emulation of guns made there during the war. Fort Pitt produced siege, coast defense, and naval guns during the war.